Here is another great free card offer. 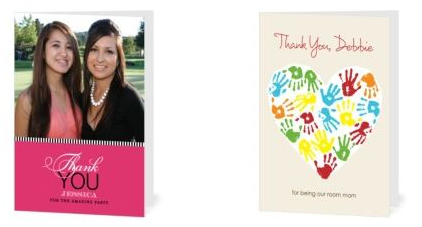 You can get a Free Custom Thank You Card from Tiny Prints. Just use coupon code: TYOPRAH at checkout. The code seems to be working on any card that is priced at $3.99. 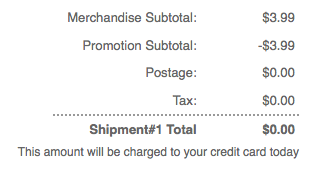 Ship to yourself for free or have it shipped direct to the recipient for $0.44.